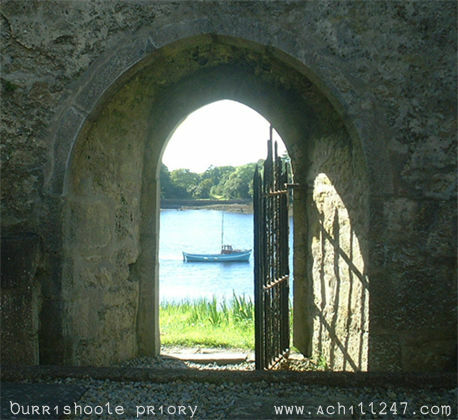 Burrishoole Abbey, a 15th Century Dominican friary, was located on a tidal inlet (lagoon) on the north side of Clew Bay, Co Mayo. A fascinating description of the abbey, written by Sir Nicholas Malbie in 1580, is quoted below. The quotation comes from the 1908 account by H.T. Knox of 'The History of County Mayo to the close of the 16th Century'.